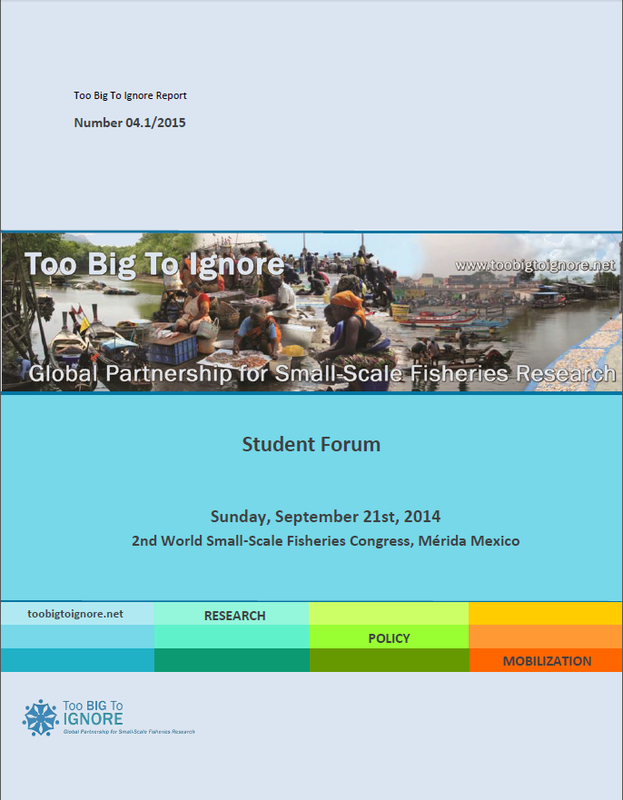 The Student Forum was held during the 2nd World Small-Scale Fisheries Congress (2WSFC) in Merida, Mexico, 2014 and was organized by TBTI students from six different universities located in Barbados, Canada, Mexico and the USA. The main objectives of the workshop were to provide students and recent graduates with the chance to discuss issues relevant to their research and career goals in small-scale fisheries. The forum was composed of two workshops and a career panel discussion, which allowed participants to connect to a larger network and explore career opportunities in the field of small-scale fisheries. 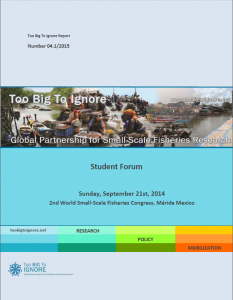 A number of approximately 40 young scientists, dedicated to small-scale fisheries research within the social sciences, economics and natural sciences, participated actively from a variety of countries. The description of the workshop and its outcomes can be viewed in the 2WSFC Student forum Report.